Joan Rivers, and Mary Wilson and the Supremes. Professor Allen has released a number of recordings under her own name. These include: The Nurturer, Eyes in the Back of Your Head, Maroons, Homegrown, The Printmakers, Twenty One, The Gathering, The Life of a Song, and, most recently, the ambitious and critically acclaimed Timeless Portraits and Dreams. A newly released Timeline, Live presents Ms. Allen on piano, Kenny Davis on bass, Kassa Overall on drums, and tap percussionist Maurice Chestnut. This is a rhythmically innovative work and has just been released on Ms. Allen's own label. Geri Allen is a Motema artist, and the forthcoming Refractions: Flying Toward the Sound, a work for solo piano which she composed during the period of her Guggenheim Fellowship, will be released by Motema in the new year. Many honors have come Professor Allen's way. She was recently invited by Ms. Jessye Norman to participate in Honor, A Celebration Of the Legacy Of African Music, held at Carnegie Hall Spring, 2008. 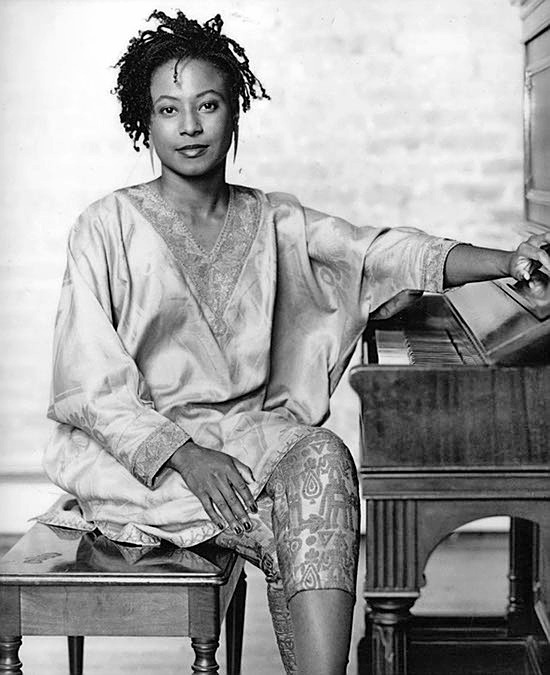 She has received the key to the city of Cambridge during Geri Allen Week at Harvard University, and the key to the city of Cleveland. Howard University has honored her with its Benny Golson Award, while Spelman College bestowed its African Classical Music Award on her in 2007. She was the first artist to receive the Lady Of Soul Award in Jazz, and was also the youngest person—and the first woman—to receive the Danish Jazzpar Prize. Professor Allen is a 2008-2009 Guggenheim Fellow for Musical Composition. She is a Detroit native and a graduate of Cass Technical High School, Detroit's magnet school for music. She is also a graduate of Howard University where she later served as Assistant Professor of Music. During that period, Howard honored her with both its Distinguished Alumni and Distinguished Professor Awards. Professor Allen also holds a master's degree in ethnomusicology from The University of Pittsburgh, where she studied with Dr. Nathan Davis, Dr. Kwabena Nketia, John Blacking, and Dr. Bell Yung. Professor Allen came to The School of Music, Theatre, and Dance after teaching at The New England Conservatory of Music and The New School in New York City. 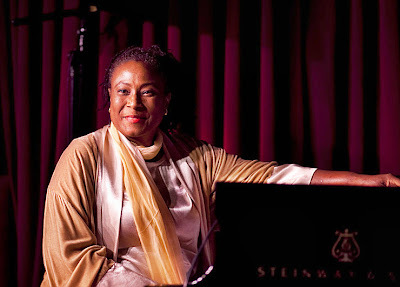 In addition to her own performances and the recordings under her own name, Professor Allen has participated in a number of notable collaborations. These include playing on the Classic Ellington, and Americana CDs, Sir Simon Rattle, conductor; Miles: Cool and Collected, a CD anthology of Miles Davis' work from 1956 to 1984; tenure in the Ornette Coleman Quartet from 1991 to 1995, culminating in the celebrated Sound Museum CD; and The Mary Lou Williams Collective of which she is the musical Director. The Collective has issued Zodiac Suite: Revisited on Mary Records. Allen played the role of Mary Lou Williams in Robert Altman's film Kansas City, and she contributed the original musical score to the filmed documentary Beah: A Black Woman Speaks directed by Lisa Gay Hamilton, which won a Peabody Award. Most recently, Professor Allen has collaborated with Trio 3 whose members include Oliver Lake, Andrew Cyrille, and Reggie Workman. A CD by these four musicians has just been released on Intakt Records. It is called At This Time. Professor Allen's work as a composer has been honored by SESAC. Her ability has won her commissions from Jazz at Lincoln Center, Music Theatre Group, American Music Theatre Festival, Stanford University, and, most recently, from The Walt Whitman Arts Center and Meet the Composer who commissioned For the Healing of the Nations, a Sacred Jazz Work, composed in tribute to the victims and survivors of the 9/11 tragedy. Currently Professor Allen has been commissioned to compose an opera for Trilogy: An Opera Company. Geri Allen continues to concertize all over the world.